Neogoa netlabel enters 2013 with a brand new collection of remixes of PharaOm’s great track Cellar Door, released on Dimensional Gateway back in 2010. 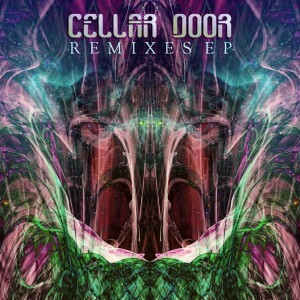 This time we’re giving you three unique remixes and a special sequel to Cellar Door made by PharaOm himself. This release kicks off with a pumping progressive trance version made by Sunbeam Genesis from Denmark and continues with a great psytrance remix by Whirlin Merlin from the UK. The third remix is an epic conclusion, a joyful goa trance ride from Serbian DJ and owner of UAF Records – Imba. All tracks are mastered by Stryder at Beavernest Atop Studios with artwork design by Ivan Paric at Neogoa Design. MP3 Download | FLAC Download | WAV Download · Download count: 12,014. Yeah Nice job, it’s a good Goa ! But deffenetly is imba the best.